Boston is filled with old buildings built at time when asbestos and lead paint were commonly used, despite the fact that manufacturers knew these substances were toxic defective products and likely to cause serious injuries. It is only years later that people realize just how much damage was done. According to a recent article from WBAL TV, a jury has just awarded a 17-year-old boy $2 million in a lead paint case. The victim was living in his grandmother’s home from the time he was born until he was five years old. Court records and trial testimony show the boy suffered serious brain damage as result of his exposure to lead-based paint. This brain damage has caused the victim to lose four to five IQ points, suffer various cognitive defects, problems with his focus and attention span, behavior problems, and other learning disabilities. These disabilities caused by exposure to lead paint have led to a grade point average (GPA) of 1.0, and the boy is taking many remedial classes in an effort to help him graduate from high school. The chances of him graduating high school are low according to family members. When his blood was tested to determine if he had lead poisoning, his levels were more than two times the minimum required by the Centers For Disease Control (CDC) to classify a child as having lead poisoning. As our Boston lead paint attorneys can explain, lead was used in paint for many years because lead chromate pigment was an effective way to speed up drying times, increase the lifespan, and resist corrosion in paint products. The problem is that, if ingested, it cause severe nerve damage, kidney failure, and developmental disorders, as seen in the victim in this case. When lead paint is peeling or flaking off a wall, young children will commonly eat it, because it tastes sweet due to the lead pigment. Companies that manufactured the paint and landlords who used it were well aware of the risk of poisoning but continued to use the paint because it was less costly than other alternatives. 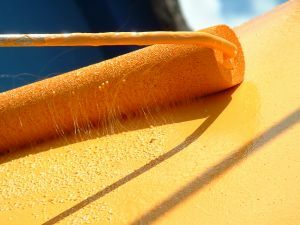 It also lasts much longer than latex paint, which can become dull and dirty over time. In other words, these companies were willing to risk the health and safety of others, who were unaware of the risks, to increase their profits. Failing to warn of a known danger is one of the common claims brought in products liability lawsuits in the Commonwealth of Massachusetts. This article also points out that the landlord could have prevented this predictable injury by simply sealing the lead-based paint with an approved sealant and painting over the exposed lead paint, but the landlord chose not do so, most likely due to the few hundred dollars that this would have cost. The family contacted the landlord before filing a lawsuit and asked why they had not used an approved lead paint treatment and sealing agent and were told that if the family had asked, they would have done so. The problem is that the victims are not the ones who are expected to know of the risks. It is the manufacturers and landlords who knew or should have known of these risks and taken prior remedial measures to prevent injury.